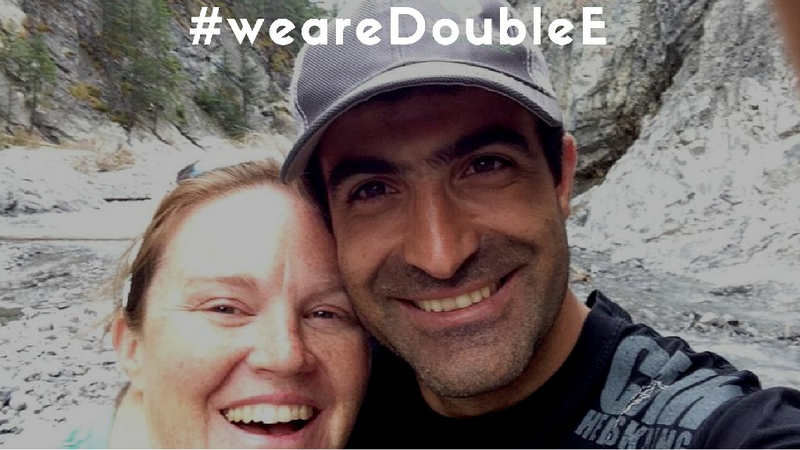 Double E Motors (Service) Ltd. and Double E Motors (Sales) Ltd. are owned and operated by Erdem Erdinç and Kimberly Carcary. Erdem (nicknamed Double E for his first and last name) has been in Canada for 19 years. He first moved to Canada from Turkey in 2000 and began his automotive training in Toronto. Erdem spent time at Humber & Centennial Colleges honing his English skills and learning about the Automotive Service Industry. While in Toronto, he gained valuable experience working for small garages and furthered his knowledge as an apprentice with Suzuki. When an opportunity was advertised for Canmore in 2006, Erdem interviewed over the phone and accepted the position without much knowledge of where he was going. After an epic solo cross-country road trip, Erdem landed in Canmore and, much to his surprise, mountains and wondrous beauty surrounded him. He knew he had found a special place. With more school on the horizon, Erdem moved to Calgary in 2008 and completed his second, third, and fourth year apprenticeship courses at SAIT. During his time in Calgary he worked with Hyundai, Toyota, and Suzuki before returning to the Bow Valley to work at Ford. Erdem was presented with his Journeyman certificate and Red Seal as an Automotive Service Technician in August 2010. With over 10 years of training behind his certification, he brings knowledge, experience, and quality workmanship to this endeavour. Kimberly has been an invaluable, behind-the-scenes partner since Double E opened in December 2010. She supported the growth of the business while working full-time in a research program at Foothills Medical Centre and the University of Calgary. Kimberly joined the business full-time in September 2017 to take on the Sales company and provide dedicated time to the life cycle of the vehicles - from procurement to sale. She has worked against current industry odds to be able to provide prime financing for customers, bring in the option of extended warranty offers, and continues to provide a "no-pressure" sales experience. Erdem and his wife, Kimberly, have been happy to call Canmore home since January 2009. Canmore has a great combination of community and access to outdoor activities. When not at the shop or the sales lot, you will find them hiking, biking, or skiing on the many trails that surround Canmore. Erdem and Kimberly have only one way of working and living – with honesty and integrity – and of course, a smile! Double E Motors (Service) Ltd.